As individual inner peace will lead to world peace, Yogmata promotes the “World Peace Campaign” to expand the circle of love and peace from the personal level to the global scale along with her fellow disciple, Pilot Baba. 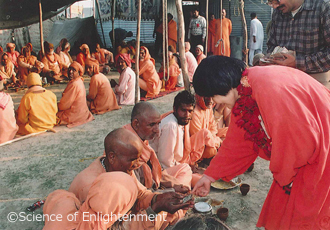 The activities range from charity work, to public Samadhi, to Samadhi Yagna to the World Peace tour. 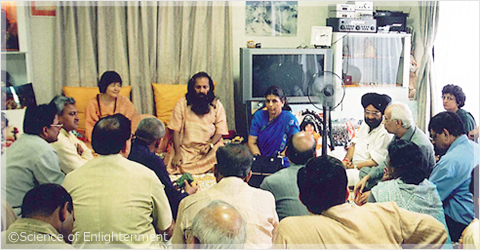 Established the NPO: Yogmata Foundation, a social welfare service foundation in India. Since then, she has repeatedly conducted charity work and given donations around India. 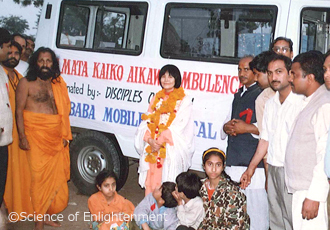 Donated mobile hospitals to remote villages in India as well as supporting their operation. Offer meals to those in poverty. Offered free meals to the public at public Samadhi. 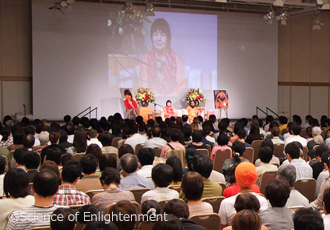 As part of the World Peace Campaign, every year holds lectures and seminars. 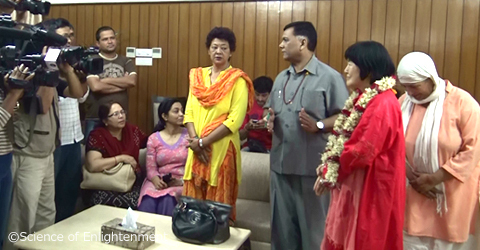 Since 1992, while based in Japan, Yogmata has visited: India, Nepal, the US, Europe and Africa. Has given sermons and blessings and supported the development of people’s consciousness. She works towards and contributes to world peace and international goodwill. 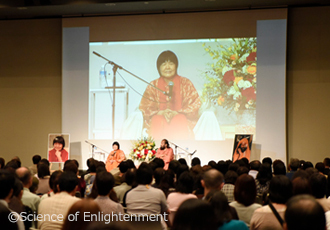 In Japan, she provides various courses and retreats for attaining true happiness and enlightenment as well as guide the development of consciousness and people’s ability. Many have received the secret teaching of meditation, practice it daily, awaken the power of love and peace within, cultivate their character, practice the way to become the best being. Since a few thousand years B.C., a Siddha Master, who attained true Samadhi state, has rarely conducted Samadhi in public, only once every few centuries, for world peace, to cleanse the earth and environment as well as to prove the truth. 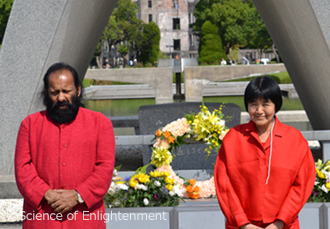 Yogmata Keiko Aikawa first conducted public Samadhi in 1991; the first female in the history to do so. 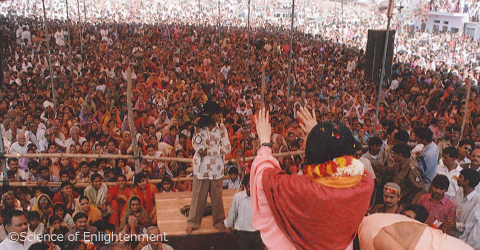 From then until 2007, she implemented public Samadhi 18 times in various regions of India. The location where a Samadhi has taken place is filled with Samadhi power, cleansed, and it is said that the place becomes heaven. In public Samadhi, between tens of thousands and hundreds of thousands of people pack the site and have a blessing from the saint, which heals people, brings happiness and success, and leads to enlightenment. Samadhi is also called light or enlightenment. True Samadhi is the supreme state of human consciousness; transcending body, mind and everything to become oneness with the source of creation, the supreme being – God. The 5000 years old Himalayan secret teaching conveys a practical method to attain Samadhi. True Samadhi (Supreme Samadhi) is equivalent to attaining Buddahood or moksha in Buddhism. This is a Samadhi that takes place in a public setting. Usually, Samadhi is not conducted in public. However, in order to demonstrate enlightenment, and also to share the power of love, peace, and wisdom, public Samadhi is conducted. It is said that only one or two persons appear, every few centuries, that can perform public Samadhi. 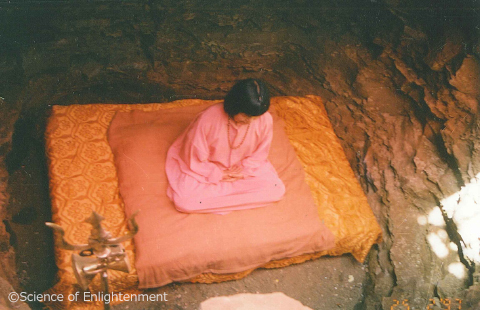 The public Samadhi, Yogmata Keiko Aikawa achieved was an underground Samadhi. To stay in a completely sealed underground pit for between 72 and 96 hours, without water, food nor sufficient oxygen. Siddha Master is a Himalayan saint who has achieved supreme Samadhi. Yogmata’s history of 18 public Samadhi. Kumbh Mela is a religious pilgrimage when Hindus come to bathe in one of the holy rivers. It is considered the oldest and largest peace rally in human history. Yogmata Keiko Aikawa conducted six consecutive public Samadhi at Kumbh Mela, shared love and peace and gave hope to people. Even after, the last public Samadhi, since 2010, she has set up a large camp at Kumbh Mela, with her fellow disciple Pilot Baba, gives blessing to people during darshan, offers meals to the public and supports sadhus by providing meals and donation. During this festival, where people come from all over the world, Yogmata shares love, wisdom and power from the Himalaya. Yogmata conducted her 18th and last public Samadhi. She received the title of Great Master, “Mahamandaleshwar” from the largest spiritual austerities association of India, “Juna Akara ,”; the first female and first foreigner to achieve this status. 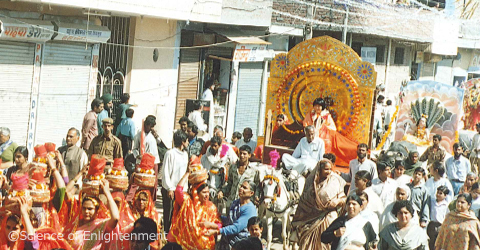 Yogmata marched in the saints’ parade in the town and gave blessings to the people. She also conducted Samadhi yagna. Yogmata gave blessings to a large number of people and also conducted Samadhi yagna. 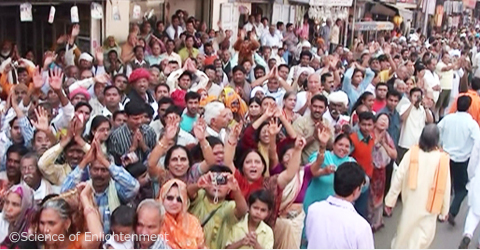 She marched in the saints’ parade, at Ujjain, and gave blessings to the people. She also conducted Samadhi yagna for world peace. 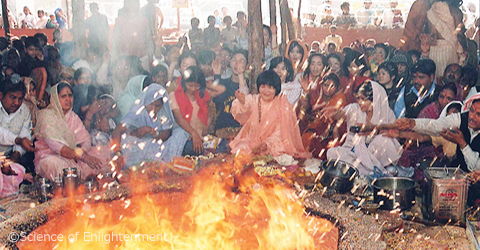 Yagna is the original form of the Gomadaki, Buddhist fire ritual. Samadhi Yagna lead by a Himalayan Great Saint is a special occasion. Since ancient times, royalty and aristocracy made large donations of money, at this ritual, praying for fulfillment of wishes, stability, prosperity of their country and world peace. 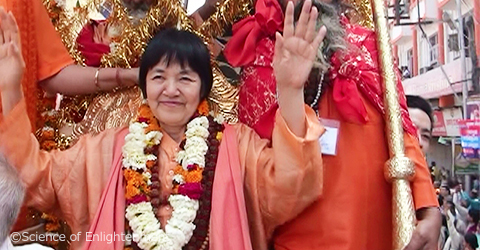 Yogmata Keiko Aikawa regularly leads large scale Samadhi yagna in India and Nepal, not only to pray for fulfilling individual’s wishes but also for cleansing of the earth and environment, peace and security of the nation, world peace, suppression of earthquakes, removal of radiation contamination and commemoration of victims. After the East Japan Earthquake and the Kumamoto Earthquake, she lead yagna, praying for the commemoration of people lost, inner-peace for the victims, early reconstruction and suppression of further earthquakes.